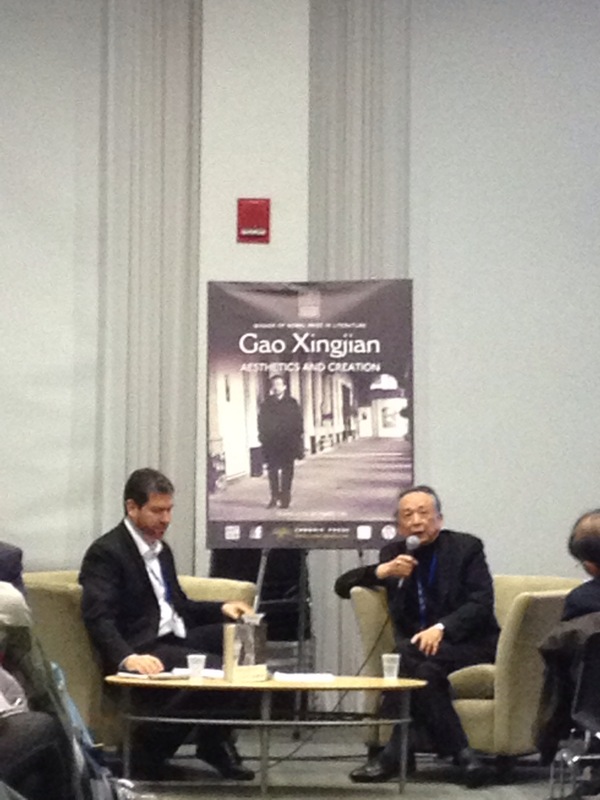 The 2013 MLA annual convention in Boston was extremely well attended–Rosemary Feal and the wonderful MLA staff should be congratulated not only for reaping such outstanding numbers this year but also for having Gao Xingjian, winner of the Nobel Prize in literature, in attendance! It was the best conference experience for Cambria Press yet! There were also other factors that contributed to this particular convention being a stellar one for Cambria Press. First, Professor Victor Mair, general editor of the Cambria Sinophone World Series, along with esteemed editorial board members such as Professor Shu-mei Shih (UCLA), Professor Haun Saussy (University of Chicago), and Professor Liu Jianmei (University of Maryland / Hong Kong University of Science and Technology), attended this MLA annual convention to participate in critical sessions on Sinophone studies. Unfortunately, Professor David Der-wei Wang (Harvard University) and Professor Jing Tsu (Yale University) were not able to attend as planned due to unexpected circumstances. Second, it was encouraging to see a greater (and much-needed) international representation in the MLA sessions. As far as Sinophone studies is concerned, many individuals have pressed hard for this, but special credit must be accorded to Professor Christopher Lupke for his steadfast pushing, which was definitely fruitful–there were not only more sessions this year, but every session saw rooms so crowded that atttendees had to stand or sit on the floor! Third, Professor E. K. Tan (SUNY Stony Brook) was on hand to see his book, Rethinking Chineseness, for the first time, as were Gao Xingjian and Dr. Mabel Lee (University of Sydney) who flew in from France and Australia respectively for the launch of Gao Xingjian: Aesthetics and Creation. Gao Xingjian also participated in two sessions, Gao Xingjian on Literature and Theater and A Creative Conversation with Gao Xingjian that were all, unsurprisingly, packed. 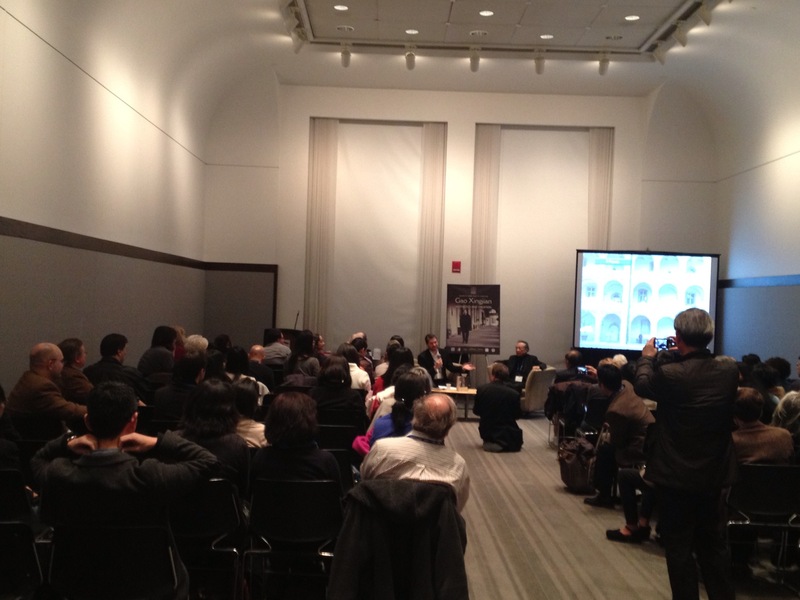 Gao Xingjian’s sessions were packed, with all seats taken and no standing room left. It will be a challenge to top such an exceptional experience, but we will certainly try as we look forward to the 2014 MLA annual convention in Chicago! Visit the Cambria Press booth at the Asian Studies Association (AAS) conference in San Diego in March! You can also see us at the Cambria Press booth at the International Studies Association (ISA) convention in San Francisco in April! ← Excellent Cambria Press Book Review! Journal of American-East Asian Relations finds “much to commend” in Japanese and Nikkei at Home and Abroad!